After years of searching, archaeologists have discovered the sinking ruins that might have belonged to the First Council of Nicea, considered to be the most important place in the history of Christendom. 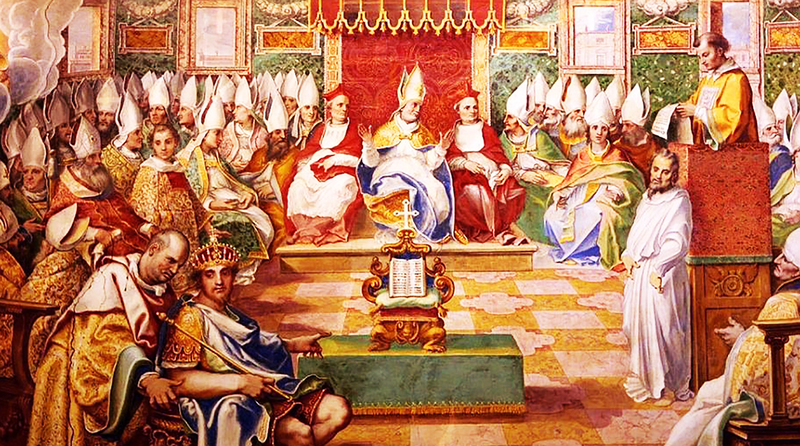 The First Council of Nicaea was a meeting organized in 325 AD. in the ancient city of Niceea (now known as Iznik of Turkey), which at that time was part of the Roman Empire. According to Mail Online, the meeting was arranged by Constantine I, the first emperor converted to Christianity, where the nature of the relationship between God and Jesus was decided. Within the council, priests from all over the world were brought to the shores of Lake Ascanius to agree on the faith, including the date when Easter had to be celebrated. Archeologist Muustafa Şahin, from Uludag University, spent many years trying to discover the historical treasures of that time. But when the government of the Bursa province asked for aerial images of the lake, a submerged church was observed. "The team of photographers is taking pictures of the top lake in 2013, but they did not think of an expert," said Dr. Shahin. "When they started recreating lake images, one of the team members, Saffer Yilmaz, contacted me and wondered if the remnants of the structure could mean anything. When I first saw the images of the lake, I was surprised to be able to identify so quickly the structure of the church. He had conducted ground tests near Iznik in 2006, and I have not yet discovered an equally magnificent structure, "said Shahin. Shahin believes that the church marks the place where St. Neophyte was martyred in 303 AD. Saint Neofit, who lived a hermitage, is considered to be the most significant personality of the Church in Cyprus. Shahir believes that the church was raised in honor of the saint. He also believes that the church marks the place of the former Palace of the Senate, where the First Council of Nicea was held, 1,700 years ago. The meeting would have taken place to decide whether Jesus was from God's own being, which means he does not have a beginning, or has been created out of nothing, which would mean he has a beginning. The Council, encouraged by Constantine I, decided that Jesus was born of the Father, which becomes a defining characteristic of Christendom. Also, the relationship between God and Jesus was discussed, but also the date when the Passover was to be celebrated. It was also in this place that the Creed of Nicaea, still used by Catholics, was created. The church would have been destroyed in 740 AD. by an earthquake that led to the collapse of the structure in the lake. "The ruins are 2-3 meters deep and 50 meters from the shores of the lake," Shahin said.